Geothermal has the potential to provide firm energy at a lower cost than Site C in a manner that benefits ratepayers, taxpayers, the economy and the environment, not to mention having a carbon footprint that is lower than Site C.
As the Joint Review Panel noted, new sources of energy are not required immediately, and likely not until 2028, and so there is time to complete proper due diligence, build geothermal plants and catch up to the rest of the world after 30 years of downplaying geothermal. The new report is timely since the BC Cabinet is expected to decide whether or not to proceed with Site C before Christmas. Geoscience BC has issued a Request for Proposals (RFP) for a study of the Economic Viability of Geothermal Resources in British Columbia. For an invigorating escape, one that renews your body and soul, head to a gorgeous geothermal hot spot. These destinations, where the earth's crust breaks open with bubbling mud, gushing hot springs, and steamy vapors, are gorgeous places to exhale. Soak your cares away outdoors in unforgettable settings, from the shadow of a volcano in the Pacific Rim of Fire to the fault line of the Rocky Mountains range. The drilling has already begun: An ultramodern geothermal plant is to be constructed in Pér, close to the Audi Hungaria factory in Győr. After going into operation in just over a year, it will supply the company with at least 82,000 megawatt hours of geothermal energy per annum and will cover about 60 percent of total heat requirements. For the new project, Audi Hungaria has signed a long-term contract on the supply of heat energy with the Hungarian company “DDEnergy.” In addition, Audi Hungaria will reduce its annual CO2 emissions by a further 19,800 tons. The planned depth of the well is approximately 2,400 meters, which will require a drilling period of up to two months. After that, it will be possible to obtain hot water with a temperature of 100 degrees Celsius, which will be pumped into the heating system. The drilling in Pér marks the starting point of the “Győr Geothermal Project,” with which geothermal resources are to be utilized for the region’s entire industrial energy supply. The project includes not only the drilling required wells, but also the development of a complete geothermal heating system. Across Alaska, fossil fuels keep the lights on. Gas provides nearly 58 percent of Alaskans’ electricity and oil provides about 15 percent, according to the Alaska Energy Authority (AEA). Located on a gated parcel of private property within the million-acre Black Rock Desert, Fly Geyser is not a natural phenomenon. It was created accidentally in 1964 from a geothermal test well inadequately capped. The scalding water has erupted from the well since then, leaving calcium carbonate deposits growing at the rate of several inches per year. The brilliant red and green coloring on the mounds is from thermophilic algae thriving in the extreme micro-climate of the geysers. Unfortunately, Fly Geyser is not open to the public. The President of Iceland, Ólafur Ragnar Grímsson, told an audience at Cornell University in upstate New York about Icelandic sustainability practices and the effects of global climate change on Friday as part of the Einaudi Center’s Foreign Policy Distinguished Speaker Series. Grímsson encouraged individual countries to take advantage of clean energy resources. Though he said he supported the use of solar and wind power, his speech focused on the use of geothermal energy — power derived from the heat found beneath the earth’s crust. “[One tenth of a] percent of the stored heat inside our planet would satisfy the global energy consumption for 10,000 years,” he said. Grímsson added that he believes Iceland is an international model for sustainability, with its low levels of carbon emissions per capita. According to Grímsson, while Iceland used to suffer under untenable pollution, the use of sustainable resources like geothermal energy has enabled Iceland to dramatically reduce its use of fossil fuels. The entire area at the foot of the Oldonyo Lengai (Mountain of God) in the Lake Natron Precinct is described to have great potential for harvesting geothermal energy but environmental concerns stifle the proposed project. Deputy Minister for Energy and Minerals Mr Stephene Masele who was in Arusha recently stated that the active volcano at 'Oldonyo L'engai,' hot springs in Enkaresero area and the brine-filled Lake Natron striding the leeward side of Ngorongoro Crater hold ample rock heat underneath which can supply abundant power to energize the entire country but international laws as well as green activists may oppose the project. Alaska’s oil boom days may be more numbered than we realize. Because of this, a popular hot springs near Nome is hoping to tap into an underground heat source to help solve its rising electricity costs. The site is located on the outskirts of Nome, about 60 miles away in a valley surrounded by mountains. “It’s a very unique place,” said Kevin Behnke, a longtime Nome resident. For decades, Alaskans have traveled to this oasis known as Pilgrim Hot Springs. “I grew up in this area, so my whole family has been here since the ’30s,” said Behnke of the hot springs. It started as a healing place for Eskimos in the surrounding area. Today, however, locals like Behnke want to use the hot springs for more than just a healing soak — they want to harness it for power. Supercritical CO2 is a fluid state of carbon dioxide where it is held above its critical pressure and critical temperature which causes the gas to go beyond liquid or gas into a phase where it acts as both simultaneously. Many fluids can achieve supercritical states and supercritical steam has been used in power generation for decades. Supercritical CO2 has many unique properties that allow it to dissolve materials like a liquid but also flow like a gas. sCO2 is non-toxic and non-flammable and is used as an environmentally-friendly solvent for decaffeinating coffee and dry-cleaning clothes. The Pacific Northwest Section of the Geothermal Resources Council will be holding a luncheon meeting on Dec. 12, 2014 at Noon. 215 West Burnside at 2nd Ave.
DOSECC Exploration Services, LLC (DES) is drilling six test holes in Pagosa Springs, Colo., to help with development of future geothermal resources in the area. The Pagosa Verde project consists of one 2,000-foot-deep wells and five 1,000-foot-deep holes on private and schools lands near Pagosa Springs, about 60 miles east of Durango in southern Colorado. Developers believe temperatures of up to 180 degrees will be measured from the holes. Exploration hole drilling is scheduled to be completed by year’s end. 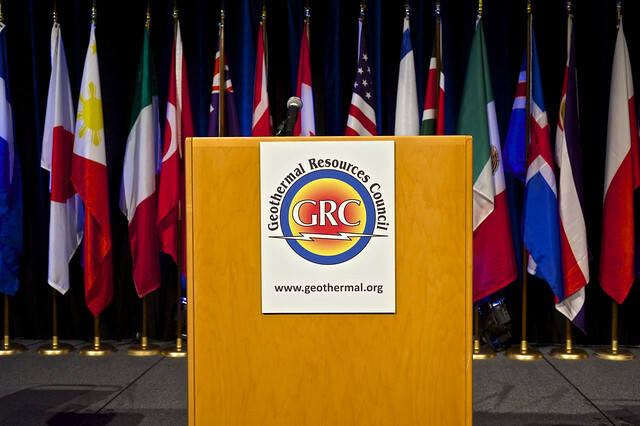 The Geothermal Resources Council (GRC) has announced the outstanding technical presentations from the global geothermal community for 2014. The selections were made in each of the GRC Technical Sessions held in late September/early October at the 38th GRC Annual Meeting in Portland, Oregon, USA, the world’s largest annual geothermal energy event. The judging criteria included the technical content, the quality of the visual aids and the presenter’s ability to communicate the subject matter. Over 135 presentations were made totaling over 45 hours over three days. Over 1,400 attendees came to the GRC Annual Meeting and GEA Expo from 39 different countries around the world. A resource in central Alaska is showing promise for geothermal development—the renewable energy that draws on Earth’s natural heat for electricity and other uses. The myriad benefits of this clean, domestic power source make geothermal exploration an attractive proposition for this state, where off-grid demand means that Alaskans often use expensive, polluting diesel power. Today, progress at an Energy Department investment on Native American lands is generating a lot of excitement for geothermal power, turning up enough heat resource to meet the electricity needs of surrounding communities and industries. 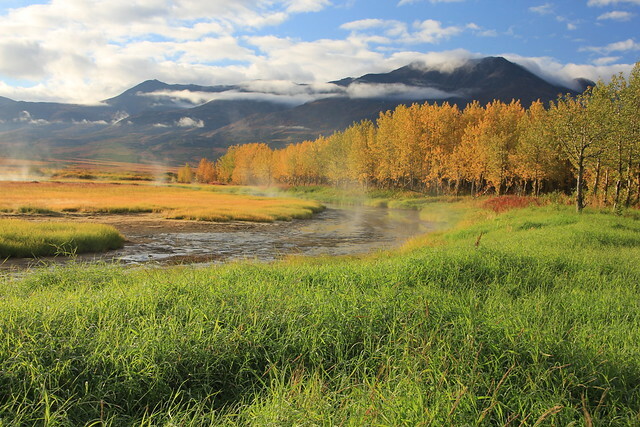 At Pilgrim Hot Springs, 50 miles northeast of Nome, the Alaska Center for Energy and Power (ACEP) has found a sufficient geothermal resource from exploration drilling to tap geothermal energy for a spectrum of uses, including on-site power generation. In fact, experts consider the resource at Pilgrim to be the largest identified geothermal resource on the Seward Peninsula. 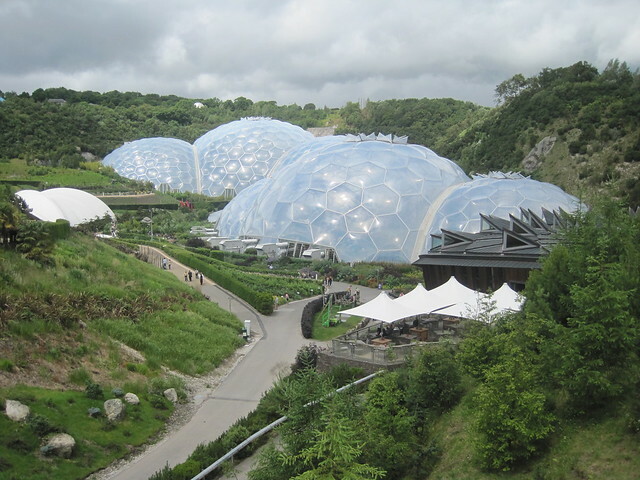 Developments there could also potentially allow the native community to develop the geothermal resource in order to relocate at Pilgrim. To conduct this exploration work, ACEP partnered with the Energy Department’s Geothermal Technologies Office. The Peppermill Resort Spa Casino is introducing locally-sourced food and products in multiple areas of the Resort including restaurants and Spa Toscana, becoming the first Reno casino to incorporate local food into daily operation. Four Peppermill restaurants lead the integration of locally-sourced produce which includes kale, romaine, rainbow chard, heirloom tomatoes, micro greens, butternut squash, acorn squash, and spaghetti squash. Produce will be sourced from numerous local farms including Hyde’s Herbs, Spanish Springs Greens and Snyder Onions. This produce will be used daily in popular dishes such as the Kale Salad and Classic Caesar salad served at Biscotti’s. Additionally, Bimini, Romanza and Oceano will also use locally grown staples to complement other seasonal items. Next week European Commission President Junker is to unveil his plan to re-launch the EU economy (by mobilizing EUR 330 bn in total). In a letter sent today, the European Geothermal Energy Council (EGEC) calls on the European Commission to earmark a substantial part of its investment package for deploying geothermal cogeneration and heat projects. Building renovation with energy efficiency measures and fuel switch to renewable heating. Low temperature process heat from RES to decarbonize the industrial sector. Asia’s continued prosperity is intrinsically bound to the major ongoing conversation in the energy markets. Simply put, what needs to happen to ensure energy security at an affordable price for an ever increasingly populous in Asia? This question has become increasingly important for governments and key stakeholders to answer. ‘Fuelling the future: Energy outlook for Asia-Pacific’ was commissioned by Norton Rose Fulbright, and the research conducted by Remark, the research and publications division of Mergermarket. The report roadmaps the major challenges facing the Asia-Pacific region in securing its long-term energy needs and some of the possible answers to these challenges. The report deep dives into the mindset of energy sector practitioners to offer insightful data into what does the short to long-term look like for investors in the Asia-Pacific region. It seeks to understand how new technologies, a changing fuel mix, and a shifting regulatory landscape will shape this sector over the next twenty years. 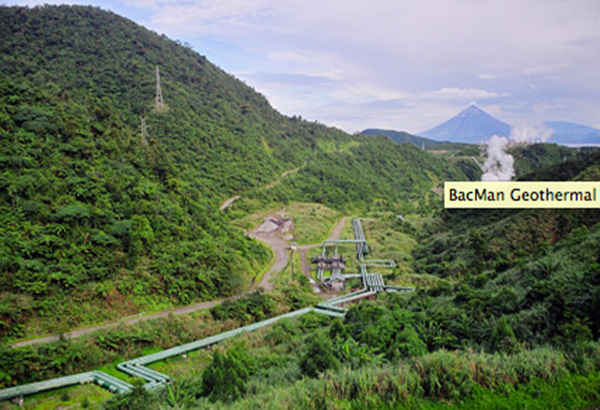 All three units of the Bacon-Manito (BacMan) geothermal plant in Albay are now fully operational after more than a year of intermittent operations due to problematic test results and maintenance shutdowns. "As of today’s date all Units at BacMan are operational and the facility is producing a gross output of approximately 130MW. The permanent fixes have now been completed on both BacMan Unit 2 & Unit 3, whilst BacMan Unit 1 will continue to operate with its interim solution until 27 December 2014 when it will then be shut down to install the new steam turbine rotor from Toshiba. It is planned that BacMan Unit 1 will be returned to service by 20 March 2015." Claims filed against the contractors of the rehabilitation of the facility have also been settled after EDC filed an arbitration case before the International Court of Arbitration of the International Chamber of Commerce. EDC said it would discontinue the arbitration following the settlement of the claims. and their continuous support throughout the year. Thank you!!! Indonesia has unveiled ambitious targets to triple geothermal power output this decade, introducing a series of land and regulatory reforms aimed at becoming the world's largest producer of the fossil fuel alternative. Indonesia aims to up its capacity by 4.9 GW by 2019. Yet progress has been slow due to red tape, uncompetitive power tariffs and uncertainty over asset ownership. The 25 years it has taken from the planning stage to breaking ground on its latest project show the formidable barriers the sector faces. The government says reforms to curb the power of regional authorities to intrude on projects, as well as to make it easier to build in forest areas, should accelerate development of 25 project sites due for tender in early 2015. "There are no more obstacles in this sector. It's time for us to work. It is a business opportunity," said Tisnaldi, director of geothermal, directorate general of renewable energy and energy conservation at the energy and mines ministry. Indonesia's plans could see geothermal meet 10 percent of power demand by 2020, up from 3 percent today. Currently about half of power supplies are met by coal, a fuel it is keen to use less in order to boost exports. Gas makes up about 20 percent and oil 12 percent. Deep underneath newly-forming mountains, the rocks can heat up to over 1000C. Geologists have suspected this happens for some time. Now a study of ancient rocks reveals that they really were once heated to these unimaginable temperatures. Mountains form when rocks are forced upwards. But before this happens, the rocks that will make up the mountains first melt, over many millions of years. In effect, these forming mountains have roots, "rather like icebergs floating in the sea", says Simon Redfern at the University of Cambridge in the UK, who was not involved in the new study. "If you build up a mountain it needs to have an equivalent amount of mountain root at its base." Now a new study, published in Earth and Planetary Science Letters, gives the strongest evidence yet that the temperature in these deep parts of the Earth's crust can exceed 1000C. Reducing greenhouse gas (GHG) emissions, which result from the burning of fossil fuels, also reduces the incidence of health problems from particulate matter (PM) in these emissions. A team of scientists at the Lawrence Berkeley National Laboratory (Berkeley Lab), the National Institute of Environmental Health Sciences (NIEHS), RAND Corp., and the University of Washington, has calculated that the economic benefit of reduced health impacts from GHG reduction strategies in the U.S. range between $6 and $14 billion annually in 2020, depending on how the reductions are accomplished. This equates to a health benefit of between $40 and $93 per metric ton of carbon dioxide reduction. Strategies considered by the team encompassed efficiency improvements in light- and heavy-duty vehicles, buildings and coal power plants; reducing light-duty vehicle-miles traveled; and substitution of coal electricity with lower-carbon energy sources. A wedge-based approach to estimating health co-benefits of climate change mitigation activities in the United States John M. Balbus, Jeffery B. Greenblatt, Ramya Chari, Dev Millstein, Kristie L. Ebi. Nicaragua and Iceland signed two agreements of cooperation and investment in geothermal projects during a meeting between president Daniel Ortega, members of the government, and a delegation from the European country. These agreements led to a series of actions and decisions that will surely come to fruition soon, asserted Ortega. Among the common projects are included the establishment of a geothermal park and other initiatives for the utilization of such resources. Energy Development Corp. (EDC) is eyeing to conduct drilling operations for another geothermal power in in Mt. Mandalagan, Negros Occidental. Mt. Mandalagan, which is part of the Negros Volcanic Belt, is listed by the Philippine Institute of Volcanology and Seismology (Phivolcs) as a potentially active volcano. Vice Gov. Eugenio Jose Lacson said Wednesday that his office received the project description for the Geoscientific Study on the Mandalagan Geothermal Prospect from EDC. The Mandalagan Geothermal Prospect is one of the identified areas of the Department of Energy that has potential for power generation for renewable energy specifically geothermal energy. Despite recent seismic events related to drilling for geothermal power sources, a new study has concluded that Switzerland should continue to pursue geothermal energy as part of its future strategy. The study from the Centre for Technology Assessment TA-SWISS argues that energy production from geothermal sources is environmentally friendly, reliable and well-priced. However, the organisation also found certain risks involved. Exploratory geothermal power projects in St Gallen and Basel were recently stopped after unusual seismic activity was found to have been linked to the drilling. However, despite those incidents, TA- SWISS urged Swiss officials not to write off geothermal energy as a power source too quickly. Geothermal energy is delivering clean, base-load and low cost electricity in 25 countries as well as commercial heating in 70 countries. While not yet fully utilized, geothermal energy is an important part of Canada’s energy future, creating new investment and jobs in Canadian communities while also contributing to a cleaner environment for future generations. Not familiar with the environmental, social and economic benefits of geothermal power, or would like to learn more? Join Chief Geologist of Borealis GeoPower, Craig Dunn, to explore the Canadian energy industry’s efforts to develop geothermal energy. Early bird tickets available for $80! Purchase through the CanGEA powEARTHful2 crowdfunding campaign starting November 25. Limited spots available! For reservations before November 25, contact Alexa MacDonald at alexa@cangea.ca. Workshop cost after December 5: $150 (plus GST). Despite the bipartisan potential, geothermal leasing has declined in Nevada and nationwide in recent years, with Silver State sales bookending the demise of the energy source's leasing glory years. In 2008, one sale of 35 Nevada parcels banked BLM a record $28.2 million in total revenue. Fast-forward to 2013, when BLM made only $42,870 all year on nine Nevada parcels. What happened? For industry and BLM, it goes back to the age-old question of the chicken or the egg. The geothermal industry blames the chicken -- years of regulation between exploration and power production -- for dissuading interest. But BLM points to the egg -- a lack of bids at recent geothermal lease auctions. The world must cut CO2 emissions to zero by 2070 at the latest to keep global warming below dangerous levels and prevent a global catastrophe, the UN warns. By 2100, all greenhouse gas emissions – including methane, nitrous oxide and ozone, as well as CO2 – must fall to zero, the United Nationals Environment Program (Unep) report says, or the world will face what Intergovernmental Panel on Climate Change scientists have described as “severe, widespread and irreversible” effects from climate change. In Canada, there are many different alternative power technologies, but those that are more affordable and offer better technology maturity are: geothermal, biomass, wind and solar. As of yet, there is no geothermal generation of electricity on Canada’s Pacific coast, but Western Geo-Power Corporation is in the final stage of the evaluation to generate electricity for Yukon Energy Corporation and Yukon Cold Climate Innovation Center. Most geothermal resources are distanced from populations, but recent technologies have been working on expanding the reach of this energy to the distant communities. Investors are seriously looking into Canada’s geothermal energy production and planning development projects. It’s estimated that development for geothermal installations will take only about three years, whereas it takes five or more to create a large coal plant. As Indonesia works to complement its hydrocarbons base with a mix of renewable sources, innovative companies like Star Energy have risen to the occasion. Star Energy has successfully branched out into geothermal power. In line with its long-term strategy of creating value for all its stakeholders, the company moved into the sector with the acquisition of its first facility in 2004. I was intrigued by a comment made by Colorado Geological Survey geologist (and GRC Member) Paul Morgan during our visit to the Pagosa Verde drilling site. He mentioned the “nonconformity” of the geology underlying much of the Rocky Mountains. As I understand the geology (from Mr. Morgan’s brief summary) the Pagosa Verde core samples are likely going to include Entrada Sandstone (dated at maybe 180 million years ago) and then are going to skip a billion years of geologic history and start drilling into Precambrian rock — which the geologists date at maybe 1,400 million years old. That’s jump of a billion years. 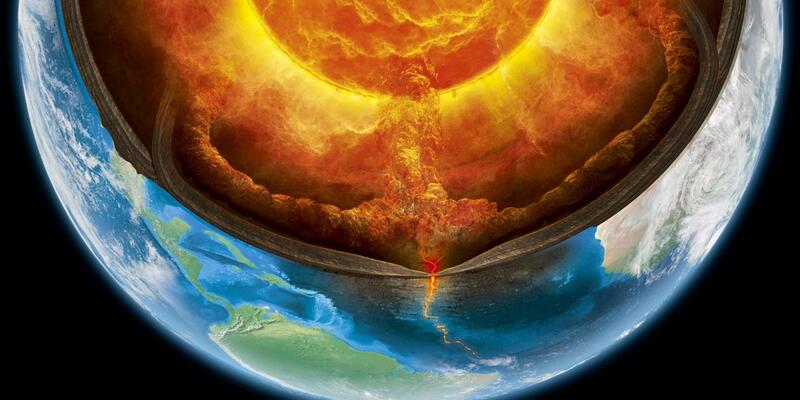 Which might raise the question, where did a billion years worth of solid rock disappear to? 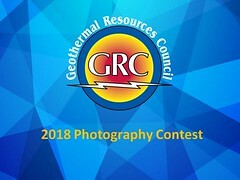 Objective: Introduce the geothermal potential of Mexico, not only from a geological perspective, but also from the new opportunities offered by the recently undertaken Energy Reform, specifically the new Geothermal Energy Law and its Regulation, as well as the financial mechanisms for mitigating risks in exploration. Background: Mexico has an important comparative advantage in Geothermal resources. However, just like in the rest of the world, geothermal energy is a renewable energy resource that does not have the same development compared to those of solar energy, biomass, hydroelectric and wind power in recent years. The main reasons of it are the uncertainty to ensure the resource, the high investments that are at risk in exploration and the lack of legal certainty according to the previous risks. However, the Energy Reform recently undertaken by the Mexican government has provided mechanisms to mitigate such effects, which are expected to relaunch the development of this type of energy, which if applied only on the power production, will result in a basic reliable power source and besides, it will be environmentally friendly. If a carbon tax were to be imposed next year, starting at $25 and rising by 5 percent a year, the U.S. Energy Information Administration estimates, carbon dioxide emissions from American power plants would fall to only 419 million tons by 2040, about one-fifth of where they are today. Total carbon dioxide emissions from energy in the United States would fall to 3.6 billion tons — 1.8 billion tons less than today. By providing a monetary incentive, economists say, such a tax would offer by far the most effective way to encourage business and individuals to reduce their use of fossil fuels and invest in alternatives. Globally, the U.S. has the largest installed geothermal power capacity, and transferred their knowledge in this area to the Philippines, which is now the world’s second largest geothermal energy producer. So, the U.S. shared geothermal technology with the Philippines while leaving us to make oil from sand in Alberta, and inject the earth with a toxic chemical slurry in exchange for natural gas in BC. Perhaps now is the time to start doing things differently? Just over 90 papers presented at the Fifth African Rift Geothermal Conference held in late October in Arusha, Tanzania, have been posted online. The theme of this year's ARGeo-C5 was “Geothermal: Solution to Africa Energy needs”. The main objective of this conference was to promote regional cooperation, create an information exchange platform on exploration, development, investment and utilization of the geothermal resources in the region and elsewhere in the world. 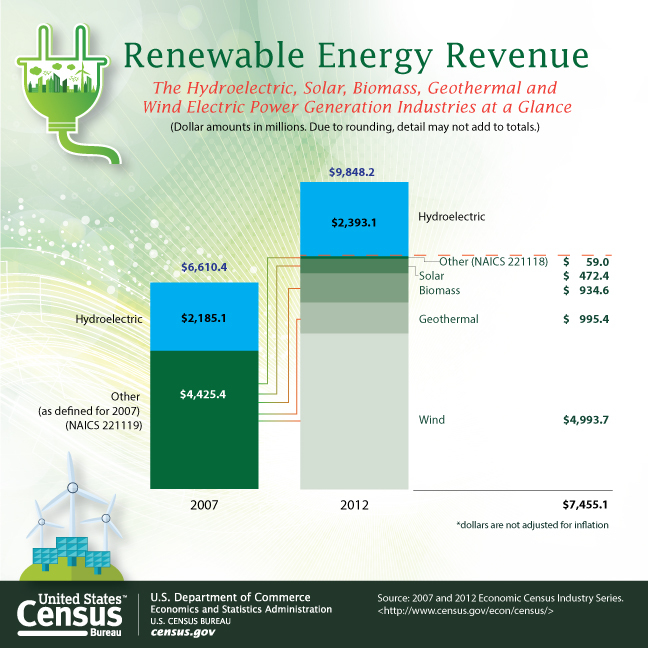 Revenues for electric power generation industries that use renewable energy resources rose 49.0 percent from $6.6 billion in 2007 to $9.8 billion in 2012, according to new economic census statistics released today by the U.S. Census Bureau. These industries that use renewable energy resources consist of hydroelectric power generation, four newly delineated industries — wind, geothermal (NAICS 221116), biomass and solar electric power generation — and one newly defined category of other electric power generation. In 2012, Geothermal electric power generation had revenues of just under $1 billion ($995.4 million). Nuclear electric and geothermal electric power generation establishments reported the highest average annual payroll per employee in 2012 ($111,468 and $101,100, respectively) for the electric power generation industry. The official commissioning of the final phase of the 280 MW geothermal power project is expected next month. The Kenya Electricity Generating Company (KenGen) has connected the Olkaria I unit 5 to the national grid, paving the way for the completion of the 280 MW geothermal power project. The unit, still being tested, is now feeding 52.5 MW of electricity to the national grid and marks the final phase in what is seen as a major step toward significantly lowering the cost of electricity in East Africa's largest economy. Final tests were ongoing to ensure system stability. The Olkaria 280 MW project, the largest of its kind in the world, comprises the 140 MW Olkaria IV and the Olkaria I units 4 and 5, each with a capacity of 70 MW. The Imperial Irrigation District (IID), a municipal utility that provides power and water services to about 150,000 residential, commercial, and industrial customers in the southeastern part of California's desert, is looking for new baseload renewable energy supplies. IID’s Base Load Renewable Solicitation for future contracts will post within the next two months and in order to download the documents and receive an electronic notification that this solicitation is ready for download, you must be an approved vendor on their bidding site. Follow the instructions below and create a profile for your firm. The Imperial Irrigation District (IID) Purchasing Section invites you to sign up for On-line Solicitation Services. This internet-based method of notification will enable you to view and receive information about newly posted solicitations. As a registered user, you can automatically receive notification of new solicitations via e-mail, view invitations for Formal Invitations to Bid, Requests for Quotation and Proposal opportunities, download bid documents in electronic form, submit requests for information, view plan holders lists, sign up for pre-bid meetings and view bid and quotation results and contract awards. Peru’s government is set to announce plans for a renewable-energy auction during a global climate conference to be held next month in Lima. The auction will be held in the first half of next year and will allow bids for solar, wind, biomass and geothermal energy projects, said Pedro Gamio, energy coordinator for the United Nations-organized climate talks. The country is seeking to double its renewable-energy capacity and reduce its use of fossil fuels. Renewable energy produces about 2.7 percent of the country’s power, according to Gamio. The government has set a goal of 5 percent. A promise by Japan on Sunday to give up to $1.5 billion to a U.N. fund to help poor nations cope with global warming puts the fund within sight of a $10 billion goal and brightens prospects for a U.N. climate pact next year. Japan's pledge, at the G20 meeting of world leaders in Australia, raises the total promised to the Green Climate Fund (GCF) to $7.5 billion, including up to $3 billion by U.S. President Barack Obama on Saturday. The Seoul-based GCF Secretariat in a statement hailed the pledges as a turning point before a first donors' conference in Berlin on Thursday. The United Nations has set an informal target of raising $10 billion this year. The cash, to help emerging economies curb their greenhouse gas emissions and adapt to changes such as heatwaves, mudslides and rising sea levels, is widely seen as vital to unlock a U.N. climate deal meant to be agreed in late 2015 in Paris. The south-west Victoria town of Portland would benefit from a new wave of tourism via hot water pools if a planned $3.25 million project to reopen a decommissioned geothermal bore goes ahead. Geothermal energy will receive special treatment. The energy reform carried out in Mexico has reached the final stage of its regulatory period. The approval of the rules that will develop the reform is imminent. This was announced by Pedro Joaquin Coldwell, Energy secretary of the federal government. Coldwell said during Mexico's Business Summit 2014 that there will be approved 25 rules. Geothermal energy will receive special treatment. This renewable energy source has a potential of 61,178 GWh per year, but currently only 10 per cent of that amount is generated, according to figures from the National Energy Institute. Mexico is the world's fourth country with biggest geothermal reserves. This fact drove the approval of a Geothermal Law that establishes specialties for this energy source. For instance, exploration permits and concessions will be directly negotiated with the Secretariat of Energy. Before the Geothermal Law it was compulsory to talk to the Energy Regulatory Commission (CRE). Profitability at First Gen Corp rose by more than half in the third quarter as its geothermal assets turned in better revenue. In a financial report, First Gen said net income hit $105.4 million in the July to September period, higher by 73.3 percent than the $60.8 million in the same three months of last year. For the nine month period ending September, the Lopez-led company’s earnings rose 55.5 percent to $274.9 million from $176.8 million in 2013. The increase was primarily brought about by additional revenue from First Gen's geothermal (Energy Development Corp) and natural gas subsidiaries (First Gas Power Corp and First Gas Corp). First Gen's geothermal and natural gas units turned in additional revenue after facilities under maintenance and repair work a year ago returned to the grid this year. The turnaround was the result of the transfer and commissioning of EDC’s shattered Northern Negros Geothermal Plant in Negros Occidental to a new site in Negros Oriental. Paul Morgan, a senior geologist with the Colorado Geological Survey — a state-funded scientific agency — had come to Pagosa Springs to help with ‘logging’ the core samples that DOSECC Exploratory Services was pulling out of the earth, in one meter segments. Pagosa Verde had invited the agency to assist with their search for boiling hot geothermal water, which might reside in a hot pool or as a hot, flowing river, somewhere under the ground in Archuleta County. One such water source already is known, and has numerous well-developed water rights attached to it. This search is for a new (and better) underground resource. The weather here in California has been warm and dry for a few weeks now. A high pressure system sits over the west coast and refuses to budge. This leads to calm, occasionally cloudy days, quite common at this time of year before the storm season begins. The California Independent System Operator (CAISO) measures the output from renewable energy providers to the State grid. As you can see in the graph on the left it never got very windy in California yesterday. There was enough sun to energize solar panels for 10 hours. The weather wasn't cooperating. In fact, yesterday in California, geothermal energy was the biggest provider of electricity to the CAISO grid, with over 26,000 MWh. Solar energy (PV and thermal) peaked at 11 in the morning and only supplied 25,000 MWh. Wind provided just over 25,000 MWh. Geothermal energy was the number one renewable energy provider - and this is not the only day when it supports the economy here in California. As suggested a few days ago Halliburton Co. agreed to buy rival Baker Hughes Inc. in a stock-and-cash deal valued at $34.6 billion, ending weeks of discussions and merging the world’s second- and third-largest oil-field services companies. The deal, seen helping the companies contend with falling oil prices, comes after weeks of discussions that turned hostile. The Wall Street Journal reported last week that Halliburton and Baker Hughes were in talks for a possible tie-up. On Friday, Halliburton moved to overthrow the Baker Hughes board after discussions broke down. The companies face a world where drilling for oil and gas has become increasingly expensive and competitive—and falling crude prices are only adding to the pressures on oil-field services firms. Those trends, industry experts say, likely spurred Halliburton to approach its smaller rival. Combining the companies will create a new oil-field-services giant that can offer lower prices to customers, executives from both companies told analysts Monday morning. A takeover of Baker Hughes would create a global giant better able to compete with Schlumberger NV for huge overseas projects. The three companies “have been in a knife fight the past few years,” analysts at Tudor, Pickering Holt & Co. said. Conservation Week was the perfect chance to round up a group of locals and take them to see how conservation is working right on their doorstep—in particular, how geothermal energy production and the conservation of a geothermal area can work side by side. 20 interested visitors gathered for a full day Sulphur and secrets expedition—putting aside their busy lives for a unique experience. Organised by DOC, in conjunction with the Rotokawa Joint Venture (a partnership between Tauhara North No. 2 Trust and Mighty River Power) the day began with a tour of the Ngā Awa Purua power station, followed by the exploration of the neighbouring Lake Rotokawa geothermal area. Pursuant to the QF/CHP Settlement Agreement effective November 23, 2011, Southern California Edison (SCE) is issuing its 2014 Combined Heat and Power (CHP) Request for Offers to solicit offers from owners and operators of CHP Facilities and Utility Prescheduled Facilities. SCE is issuing its 2014 CHP RFO in accordance with the Qualifying Facility and Combined Heat and Power Program Settlement Agreement and related documents (including the CHP Program Settlement Agreement Term Sheet) approved by the California Public Utilities Commission (“CPUC”) on December 16, 2010 in Decision 10-12-035. Questions relating to this RFO should be addressed to SCE by email at CHPRFO@sce.com (with copy to the Independent Evaluator at Waynejoliver@aol.com) or by telephone to Benny Wu at (626) 302-3230 or Gene Lee at (626) 302-3081. Questions of a general nature will be posted on this website as appropriate. The Ormoc City government recognized geothermal energy developer Energy Development Corporation (EDC) for their emergency response in the aftermath of super typhoon Yolanda which struck the Philippines in November 2013. EDC President and Chief Operating Officer Richard B. Tantoco received the plaque of appreciation, handed by Mayor Edward C. Codilla and Vice Mayor Leo Carmelo L. Locsin, Jr.
EDC provided generator sets with free fuel to city hall that supplied power to the command center and a local hospital. 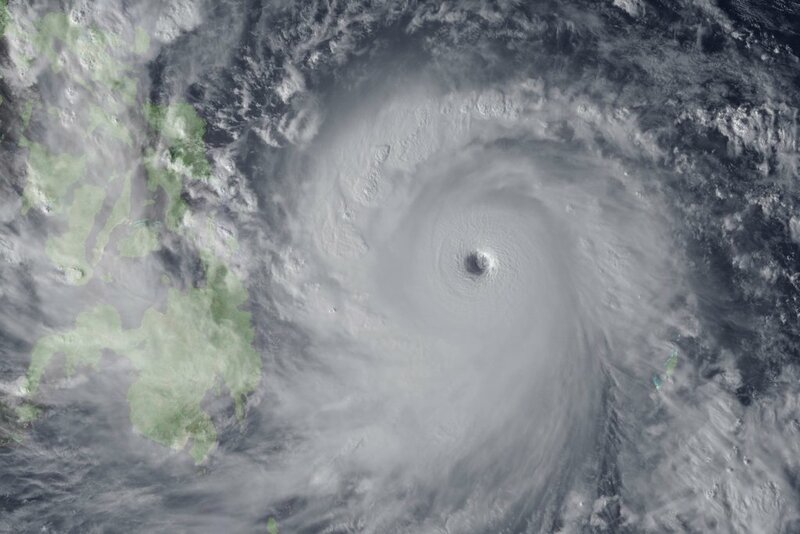 The company also provided generator sets to the water pumping stations restoring 80 percent of the city’s water services a few days after the typhoon. Other items distributed by EDC immediately after the typhoon were rice, food packs, household items and assorted medicines. In host villages of their geothermal plant, the company distributed solar lamps. Africa is set to open its first ever-geothermal energy research center at the Dedan Kimathi University of Science and Technology (DeKUT) in Kenya. As interest in the African geothermal market grows, the region is now focused on building a strong workforce to spur exploration and development of the increasingly important source of renewable energy. The institute will offer a wide variety of comprehensive training and research programs, according to DeKUT’s Vice-Chancellor Professor Ndirangu Kioni. Experts from around the globe will offer knowledge on subjects ranging from resource discovery, utilization, drilling, engineering and plant design to environmental impacts and business principles. A training curriculum has been drawn up in partnership with UNEP and the GDC.